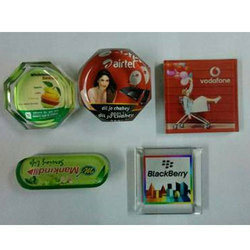 We are a leading Manufacturer of promotional paper weight from Mumbai, India. Enriched by our vast industrial experience in this business, we are involved in offering an enormous quality range of Promotional Paper Weight. Looking for Promotional Paper Weight ?